Diane Plese’s marriage with Robert Herjavec did not just bring her to the limelight, it also became a pointer to the fact that couples could have the best in life inclusive of a wonderful home, wealth, adorable kids, fame, but still opt for separation in their dream marriage. Well, such is the story of Diane. She is a Canadian Optometrist who became famous, as the wife of Robert Herjavec whom she shared her life with for over two and half decades before their marriage hit the rocks in 2015. Here, we have got the biography of this Optometrist, her net and other facts about her now defunct. Diane Plese was unknown41 until she made a marital commitment with a prominent Canadian man. If not for her marriage with her ex-husband, this article may not have been written. Her private and quite lifestyle has also made it difficult to learn about and tell the story of her childhood and educational accomplishments. However, we know she trained as an Optometrist years later. One known fact is that Diane was born in Toronto, Ontario in Canada which makes her a Canadian by Nationality. Most times when marriage involving celebrities hit the rocks, there are court injunctions and a verdict on the wealth of the couple. The partner with less net worth most times gets a larger fortune of the richer partner. This similar scenario played out in Diane Plese’s divorce with her ex-husband, Robert Herjavec. As at the time of the marriage, Robert had a net worth of $200 million which was equally divided between them with Diane ending up with a whopping $100 million. 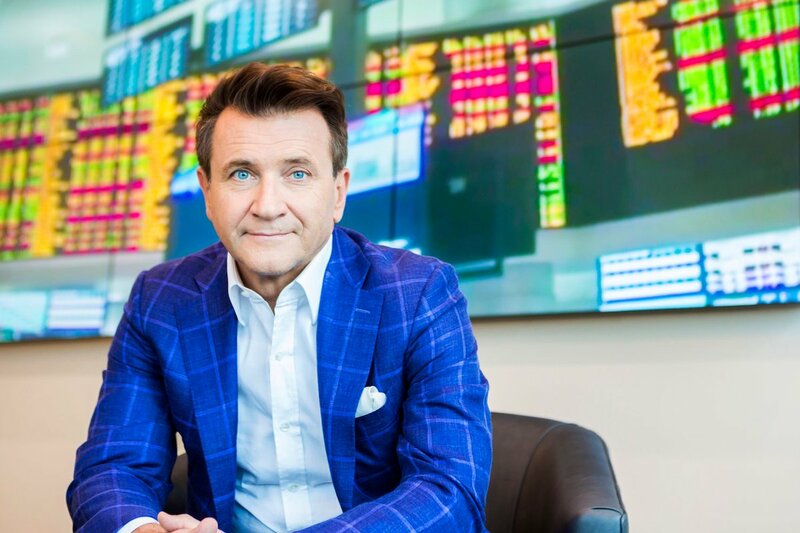 Little was known about the eye doctor until her path crossed with that of Robert Herjavec, a Canadian actor, businessman, investor, and television personality. They got married in the year 1990, although there is no information about the exact date and venue of their union. The marriage lasted for two and half decades after which they separated in July of 2014 and officially divorced in the year 2016. They met in the hospital where Diane Plese was an Optometrist. Robert had gone to the same hospital for his doctor’s appointment and eye treatment. Theirs was love at first sight, they officially hit it off as boyfriend and girlfriend in 1989 before they tied the nuptial knot in 1990. Despite their love journey that began smoothly which endeared them to the hearts of many, their union took a bad turn in 2014, and legally ended the over two decades old marital affair in 2016. Though the cause of their breakup was not stated, it may not be unconnected with Robert’s rumored extra-marital affair with an Australian dancer named Kym Johnson who became his wife not long after his divorce with Diane. Robert Herjavec was born on September 14, 1962, to a vocal anti-communist father and a rather quiet mother. He schooled at the University of Toronto where he bagged double degrees in Political Science and English. He is known for his chains of businesses and his appearances in television realities shows like Dragon’s Den (2006 – Present) and Shark Tank (2009 – present). Besides Robert has authored two impressive books to his credit which are Driven: How to Succeed in Business and Life (2010) and The Will to Win: Leading, Competing, Succeeding (2003). Although Diane Plese’s marriage with Robert belongs in the past, it brought forth three amazing children; a son – Brendan Herjavec and two daughters – Skye Herjavec and Caprice Herjavec. They shared equal access to their children who are already in their twenties. Not much is known about the children as the parents try as much as possible to keep them away from the eyes of the media. The Canadian doctor chose to return back to her quiet life after her divorce from Robert. This was exactly her life before she met him and their subsequent marriage in the 1990s. From all indications, Diane Plese is quietly practicing in her field, managing to avoid the media as much as possible. On the other hand, not long after their divorce, Diane’s ex-husband found love in the arms of Kym Johnson whom he engaged on February 27, 2016, and married on July 31, 2016, they have been together since then and have welcomed a set of twins; a boy and a girl born on April 23, 2018. One thing so unique about Diane is her beauty. She always puts on a smiling face graced with brown eyes and blonde hair in virtually all her pictures despite the challenges sh1e has passed through. She has a nice physique standing at a height of 5 feet 10 inches.